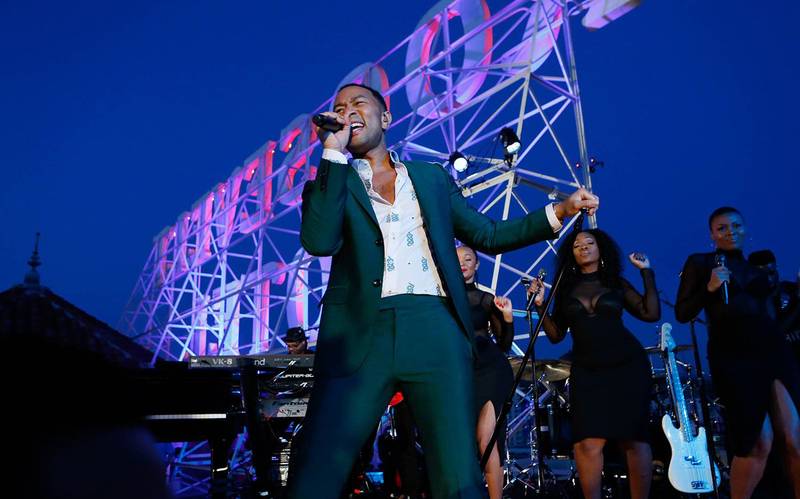 Last Thursday, John Legend was singing from the rooftops—of the Hollywood Roosevelt, to be exact—taking his hit “Penthouse Floor” to even greater heights. In celebration of the Hollywood Roosevelt’s 90th anniversary, Legend led an intimate concert under the Los Angeles night sky. The celebrations started on the Roosevelt’s penthouse floor before taking to the rooftop for a concert like Los Angeles has never quite seen before. In fact, Legend’s set was the first Roosevelt rooftop concert that’s happened in numerous years. The party continued on Wednesday evening on Jimmy Kimmel Live, where the concert aired for all the enjoy. Presented in conjunction with Firefox, viewers across the nation got to experience the music-filled night as if they were there. Legend’s rooftop set was full of his swoon-worthy ballads fit to make it a concert for the ages. Check out more from Legend’s concert here.